Great news for Summit fans! While tickets for the live conference at NYU have been sold out for over a month now, we are very pleased to be able to offer our local New York audiences a chance to engage from only a few blocks away. Cooper Union has generously agreed to host a live Summit screening in its Great Hall, located in The Foundation Building at 7 East 7th Street, between Third and Fourth Avenues in downtown Manhattan. 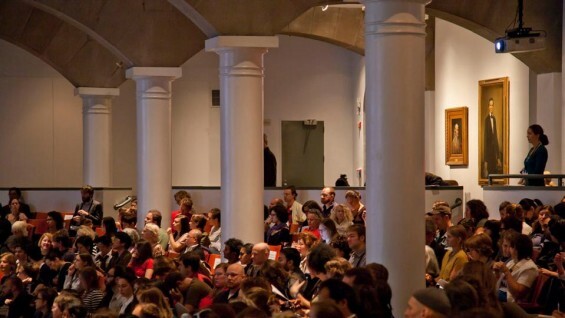 For those currently on the Summit ticketing wait-list, this is a great opportunity to register for a seat at Cooper Union, where you will be able to enjoy all the presentations via Livestream on the big screen while surrounded by members of the local Summit community. We look forward to welcoming you to the Summit screening at Cooper!